A couple of weeks ago I was very kindly sent a couple of products from the lovely people at Monbento! They sell a range of lunch boxes, drinks bottles, children's lunch boxes and accessories as well as bento boxes which I have wanted to try for so long! I have already mentioned the Monbento MB Positive Bottle in the March 'foodie' favourites, here. I chose the *Monbento Box MB Original Pink/White Bento Box (£24) which is the cutest lunch box ever! 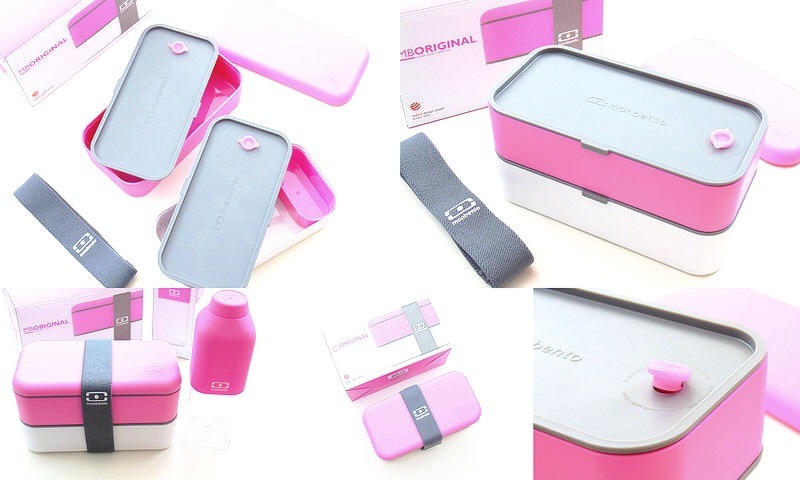 I love the pink, white and grey colour scheme although you can customise your own bento box - you can change the colour of the lid, the top and bottom compartments, even the elastic strap colour and the lid colours of each layer. How amazing is that! You can customise it for yourself or as a gift. The bento boxes are BPA free, airtight, microwave safe, dishwasher safe and the Monbento MB Original Bento Box has won two design awards. I love the design, it is simple but eye-catching and practical. I love the soft touch rubber finish and it looks/feels very durable. There are two large compartments which are both suitable to be used in the microwave as they have a small silicone stopper that can be removed for the steam to be released. The boxes are large enough for pasta, salad, sliced fruit, chocolate bars and sandwiches. The options are endless and the bento box is very versatile. You could have breakfast in one box and lunch in the other or food to be heated in the top box and cold food in the second box. Dry food can be kept completely separate from food that is wet or may spill; also meat could be separate from vegetarian food. The second box came with a small 'food cup' which is a small plastic container that can be used for food that you want to section off. 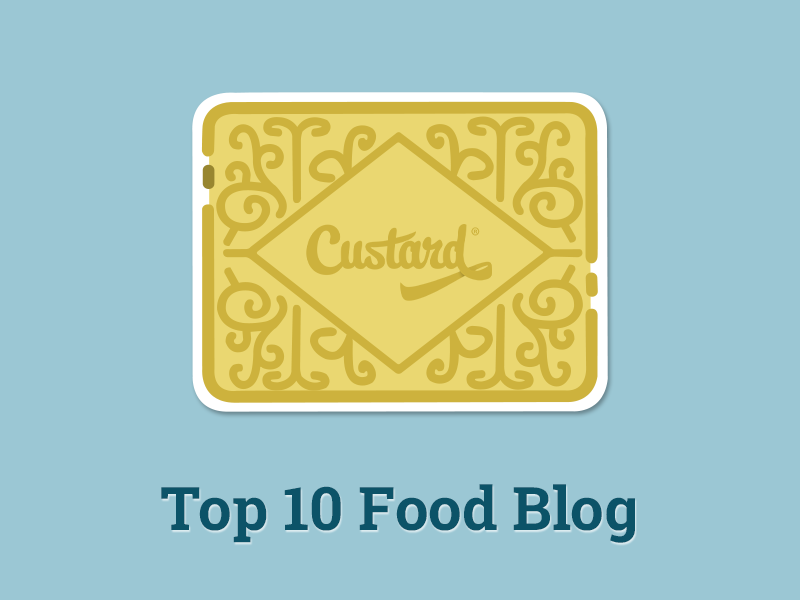 There are numerous colours of the 'food cups' to choose from. The bento box is a little bulky but I think it is worth it; also you can just use the top box on it's own and double up the elastic to secure the lid. They are very easy to clean and wipe down. Have you bought anything from Monbento? Do you have a bento box?